Knowing basic dog bite prevention tips is essential, whether you have your own family pet or not. Nearly half of all American families own a dog, and canine attacks are reported more than 4.5 million times every year. Roughly half of us will be bitten at least once, so there’s a very real chance you’ll somehow be impacted by a bite at some point in your life. The good news is, preventing dog bites is usually easy. Spay or neuter your pet. Intact dogs are nearly three times more likely to attack. Don’t chain up your canine. This increases the risk of a bite by nearly three times as well. Invest in obedience training. 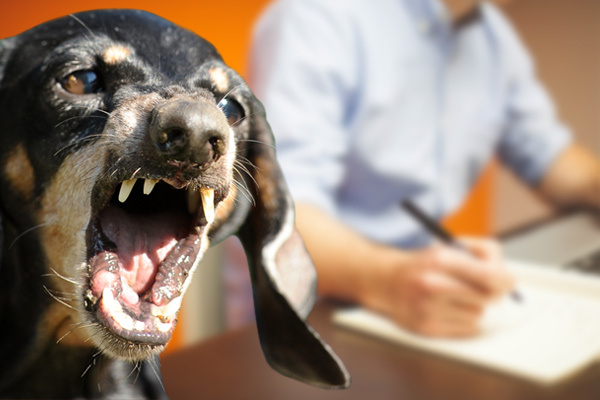 A dog that is conditioned to behave is less likely to attack. Socialize your pet. The more it’s around humans, the less likely it is to attack. Supervise your dog, especially around kids. The presence of an adult reduces the chances a dog will bite a child, even more so when that adult is the animal’s owner. Keep your pet healthy. Animals react differently when they’re not feeling well. Follow up with regular vet checks to make sure Fido can be his very best. Always use a leash when your canine companion isn’t confined. This is the law in Philadelphia, and it will help keep your pet and the public safe. Supervise your children. You can prevent dog bites just by being present. Most young kids who are bitten are either left alone with a pet or are unsupervised and wander off to find one. Don’t let your kids touch the dog while it’s eating. Dogs often get defensive around food and may attack to protect their dinner. Show your kids the signs a dog gives when it wants space. Point out how the dog backs away, stiffens its body, pins its ears back, etc., and explain what the animal is trying to say with its body language. Teach your kids not to run around the pets. Dogs naturally want to chase, and an uncontrolled pet may attack or tackle as well. Stay calm. The dog may think your fear response is a sign of aggression, but if you’re calm, it may view you as the authority. Don’t run. You can back away if it’s safe to do so, but running will encourage the animal to chase. Avoid eye contact. The dog may see it as a challenge. Put a barrier between you and the animal. Whether you have access to a chair, a backpack, a bike, or something else, move it to block the dog. This website is dedicated to providing dog bite prevention tips and information for victims of attacks, as well as access to Philadelphia’s top dog bite attorneys. If you or your child was attacked by someone’s pet and you need help getting compensation for your injuries, review the profiles here and contact the professional of your choice for a free consultation today.